MACH Acoustics have vast experience in providing site reviews/assessments for buildings across all sectors within the built environment. 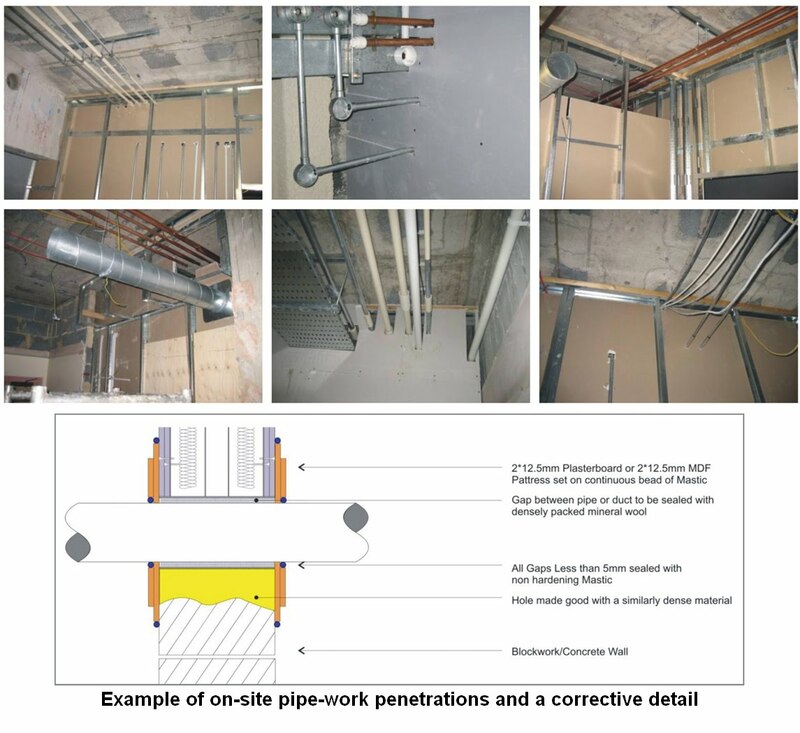 On-site detailing is a crucial aspect in achieving on-site design targets and Building Control requirements are an area which can be overlooked at the design stage. Contractors and site workman are not always aware of the consequences of poor detailing; often running services through separating walls. This can cause huge problems on-site and remedial measures can be difficult to implement. MACH Acoustics have experienced a huge array of site defects and therefore have a variety of on-site solutions for most site issues. Acoustic site reviews are an essential part of the ongoing design process and allows the acoustician to communicate directly with the site team to ensure that on site design targets are met. On paper designs are not always feasible when it comes to the build stage and mistakes on site are commonplace. Site assessments not only help create a building that is fit for purpose but can also result in significant cost savings as mistakes can be identified and rectified at an early stage.